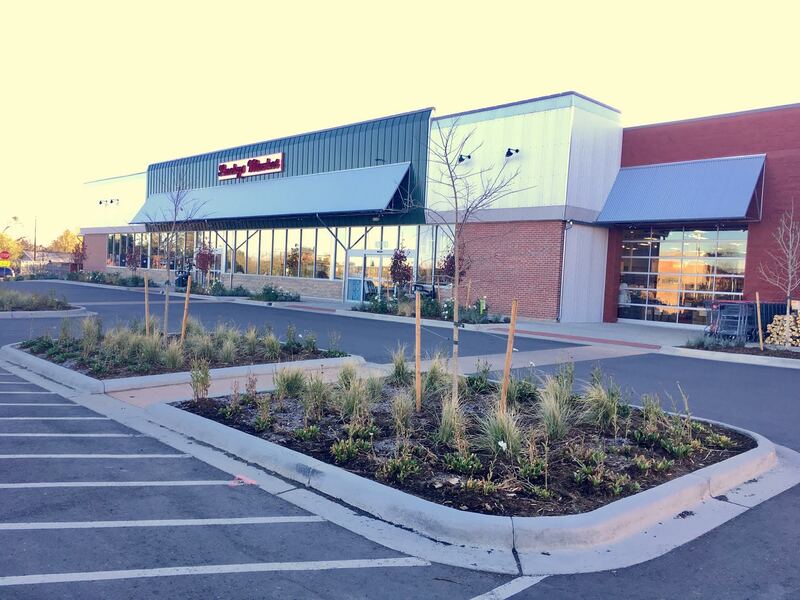 As the calendar flips from October to November, we are making more and more construction progress at the Table Mesa Shopping Center and all six phases of parking are now open! We truly appreciate your patience throughout this process — thank you! 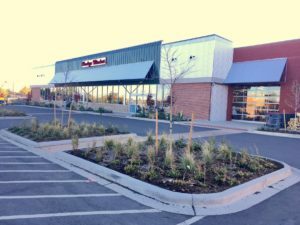 While all six parking phases have opened up, there are still a number of projects going on around the shopping center that will take a few weeks to complete. First, concrete walls for the three-tiered patio by Snarf’s has been poured, but will take an additional couple of weeks to be completed. Next, we have colored concrete crosswalks going in throughout the shopping center that have caused temporary blockages this week, as we had to cut into the asphalt, pour the concrete and then place steel covers over them, allowing for car access while the concrete takes several days to cure. We finished pouring the colored concrete crosswalks in phases three and five, so only a few days remain on this project. – This repair will shut down both entries to the south lot from Broadway on Nov. 10 and 11, before re-opening the north entry on Nov. 12 and the south entrance on Nov. 17. – This repair will block the entrance from Hanover St. during this timeframe. Finally, in order to evoke the holiday spirit, holiday lights and wreaths are going up around the center this week. We plan on lighting our upgraded holiday program up on Monday, Nov. 7.